Maya Fisher ('20) races down the lane doing a butterfly stroke. 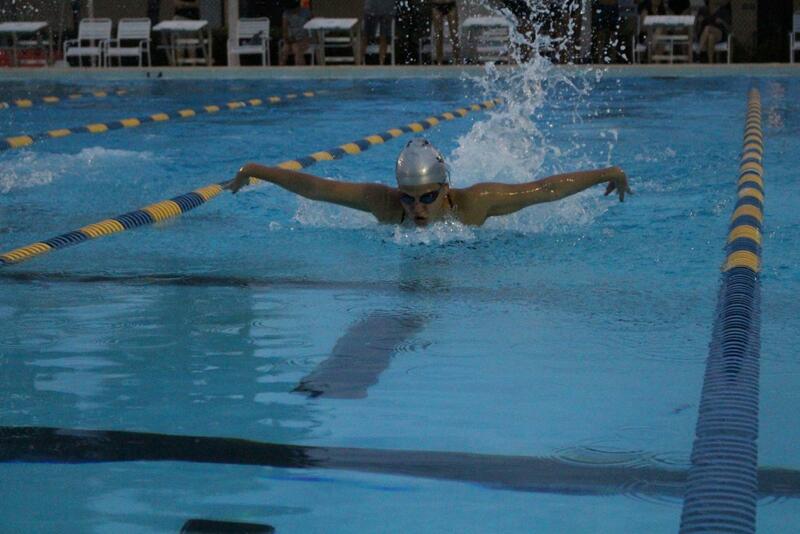 The boys and girls swim teams competed in the FHSAA Regional meet on Saturday, Nov. 10. Neither the boys nor the girls team placed and no swimmers advanced to the state competition. The swim team will graduate 11 seniors this year. Both the girls and boys cross country teams headed off to the FHSAA 3A Cross Country State Championship meet on Saturday, Nov. 1o. The boys placed eighth overall with the girls right behind them in ninth place. Read more about the cross country championship here.